District Health Society Kheda – Nadiad Recruitment 2017: District Health Society Kheda – Nadiad Recruitment 2017 :District Health Society Morbi issued a walk in interview notification for recruitment of below mentioned posts. All necessary information like interview date and timings, eligibility criteria, age limit, educational qualifications, how to apply etc District Health Society Kheda – Nadiad Recruitment 2017 are listed below. 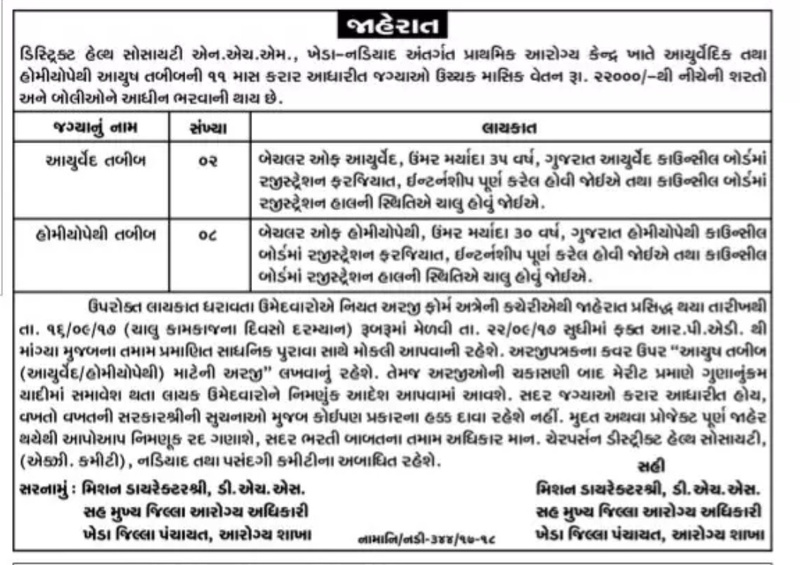 How to Apply District Health Society Kheda – Nadiad Recruitment 2017?